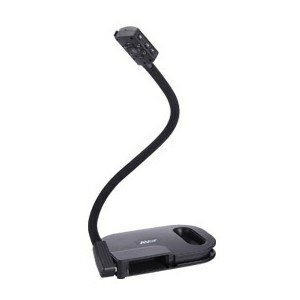 Turn real objects into digital content with the SMART Document Camera 450. It’s a great way to demonstrate, explore and understand – even when concepts are abstract or complex. Create more engaging lesson content by easily capturing images, video and audio with the SMART Document Camera. For example, you can take a video of a science experiment with the document camera and save it to use for your next class and students can record demonstrations during presentations to study later. Manipulate and explore 3D content from your SMART Notebook file by placing the Mixed Reality cube (included) under the SMART Document Camera lens. This provides students with a hands-on experience that engages students of all learning styles and helps them to understand complex, abstract and conceptual content. 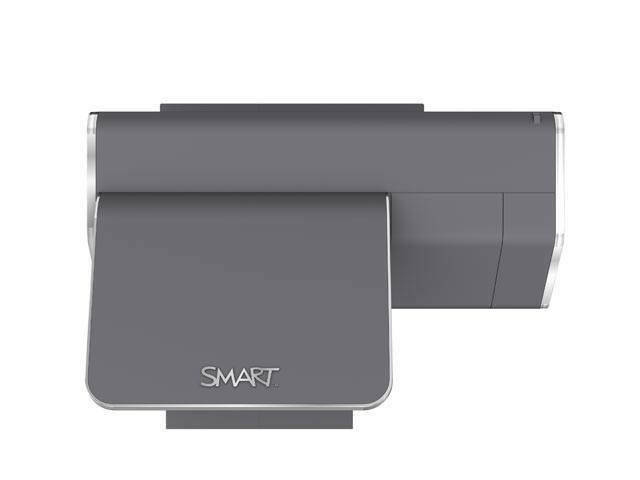 The SMART Document Camera is a perfect fit with other SMART products because you can control it straight from your SMART Notebook lesson – with just one touch. 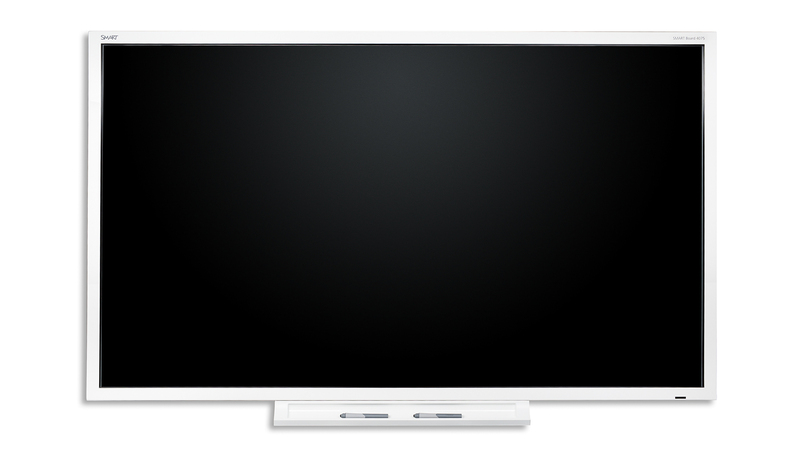 It’s easy to show images on your SMART Board, LightRaise™ interactive projector or SMART Table® interactive table. 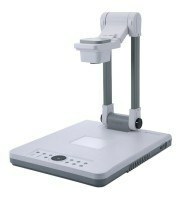 The SMART Document Camera can reproduce and magnify real-time images of any static or moving object. 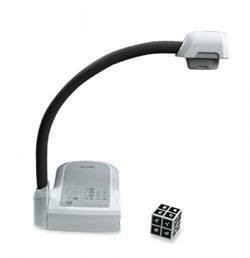 All you need to do is simply plug the Document Camera into your computer or interactive display and your audience will get the picture. It seamlessly integrates with SMART Notebook software, which is included, for continuous learning or presentation. You can show pages from books, share work with the whole class, overwrite with digital ink and then save to the gallery. It benefits from 1.3MP, with an astonishing 30 frames per second together with highlight, mask, scroll and picture-in-picture features. Featuring an ultra compact, simple and stylish design, the MO-1 can easily fit inside a jacket pocket or small handbag, making it lightweight and easy to carry in virtually any situation. Weighing in at only 1.3 lbs, the MO-1 may be compact in size, but its true colour reproduction of five Mega pixels creates a powerful and vivid presentation. 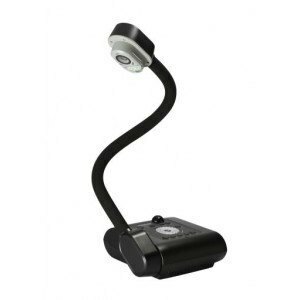 The MO-1 can be used for utilization during lessons and meetings when reviewing written contracts, magnifying small products, demonstrating smart phones and tablets or even as a webcam for online meetings. The image capture device is designed to reproduce images of documents and three-dimensional objects on a screen through a projector or a digital TV monitor. Ideal for business travellers, the MO-1 supports online visual communication and allows users to choose a colour (white, pastel pink or matte black) that best suits their various business or teaching needs. Still images can be stored on the SD card. HDMI input allows you to make height definition image presentation possible. Furthermore, no AC adapter is required when the MO-1 is connected to a computer by the USB cable. (*when in USB mode). 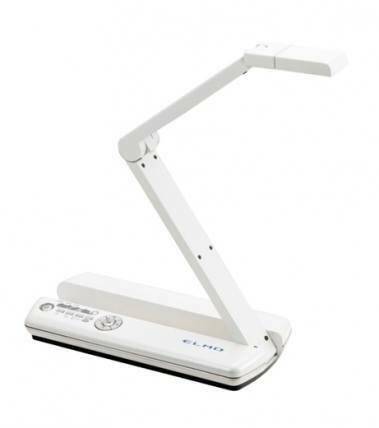 An innovative feature of the L-12document camera is that it can be seamlessly connected to the Elmo CRA-1 tablet without the need for a PC. Using the Elmo tablet, teachers can annotate over live images captured by the L-12 while the image is displayed on a large screen or interactive display and captured for future use. 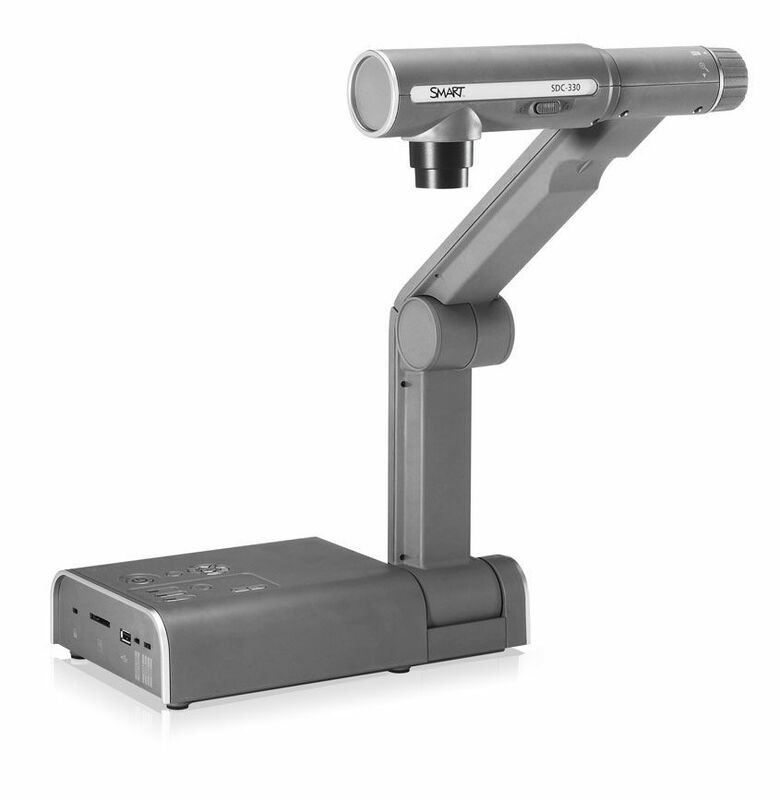 The wireless capability of the Elmo tablet enables teachers to move freely around the classroom, and to control the L-12 document camera remotely (within 15 metres of the L-12) giving them greater flexibility in delivering their lessons and making it possible to interact with the entire class and individual students. The compact AVerVision U15 Visualizer is just right for any school seeking a simple, well-equipped and user-friendly digital presentation solution. The U15 features exceptional portability with a neck and camera head that effortlessly lock into place, a built-in handle for easy toting and the ability to run solely off power from the computer. The lag-free 30fps frame rate, 2-megapixel sensor, HD1080p resolution and built-in MIC make it an ideal choice for use during video chats. Plus, the U15 offers quick and easy connection with IWBs via the AVerVision flash plug-in and the ability to capture excellent images, record live video and audio, annotate and more. 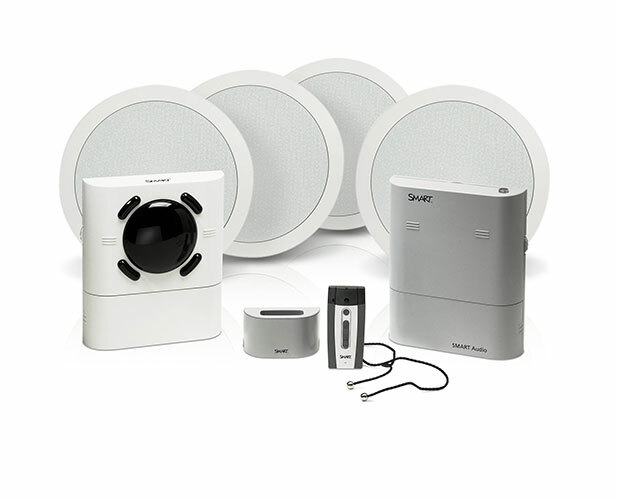 The AVerVision SPB350+ is a high quality, yet affordable, platform visualizer designed for budget conscious users who still require abundant features and functions. 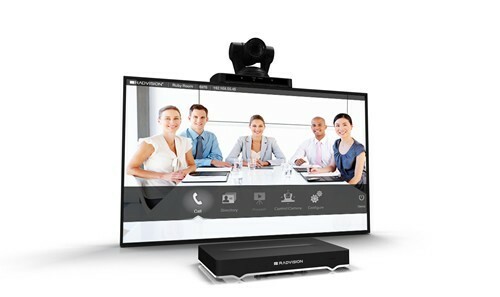 Featuring 30fps full motion High Definition 1080p video output, users are able to take advantage of the clarity of HD monitors and projectors. 20X AVerOptical Zoom combines 12X Optical Zoom with 1.6X AVerZoom, providing 20X Optical Zoom quality while maintaining the ability to pan. Combining this with 8X digital zoom offers a total zoom magnification of 160X. The included AVer+ software provides the ability to annotate, capture images, record video with audio, build full lesson plans and content, and control the features and functions of the visualizer. 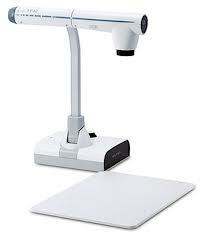 Images can be captured to the document camera itself, an SD card, or directly to a PC or MAC. The built-in 4inch x 5inch lightbox allows for the display of slides, negatives, or other transparent documents. The AVerVision SPB350+ is the perfect high-value visualizer solution for virtually any display application. With the F30 you can record live action at the touch of a button, turning an impromptu discussion or student presentation into an exemplary lesson you’ll be using for years. Plus, with an excellent 30fps frame rate, you can rest assured that live images and recorded videos will always playback crystal clear and blur-free. Whether you’re showing a page from a textbook or the wings of a butterfly, the 3.2-megapixel sensor and high output resolution ensure your students will see vivid, true-to-life images every time. Add an A3 shooting area, an easy-to-use control panel and fantastic new software on top of that, and you get a straightforward portable visualiser that truly delivers!